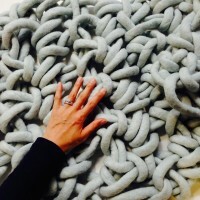 A 1.5kg lot of K1S1 wool yarn worth RRP$225. 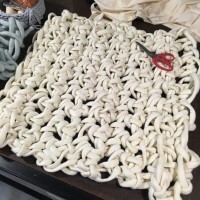 What is extreme crochet? 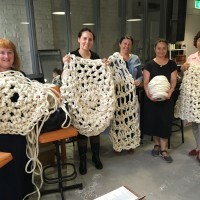 It’s creating crochet pieces with giant yarn! 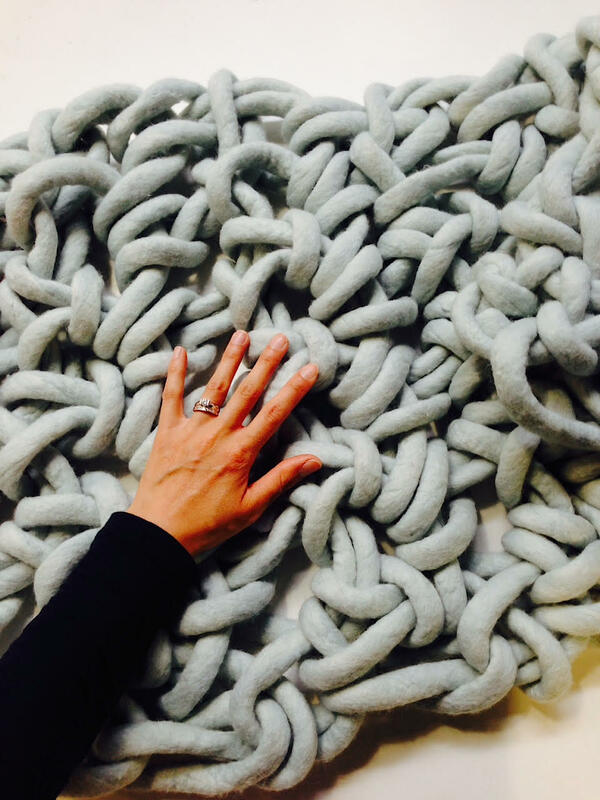 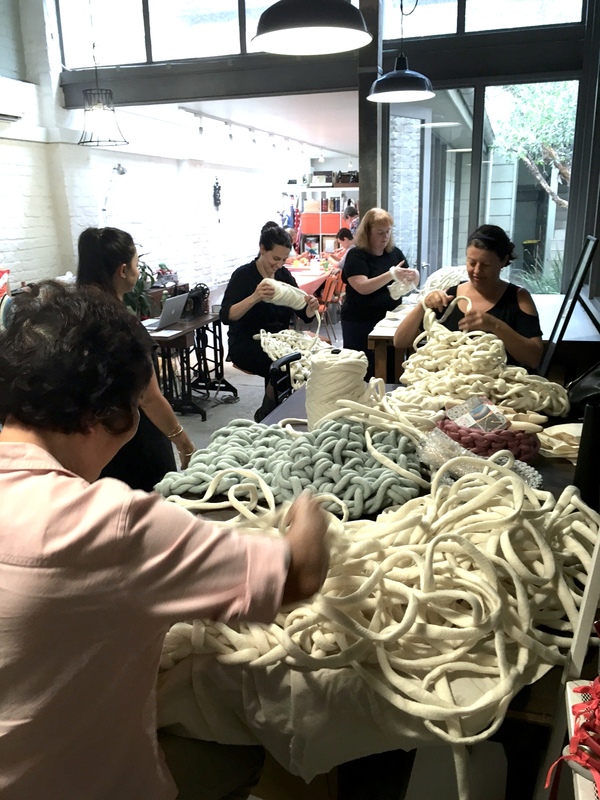 Let’s take the traditional craft of crochet to the next level – large scale. 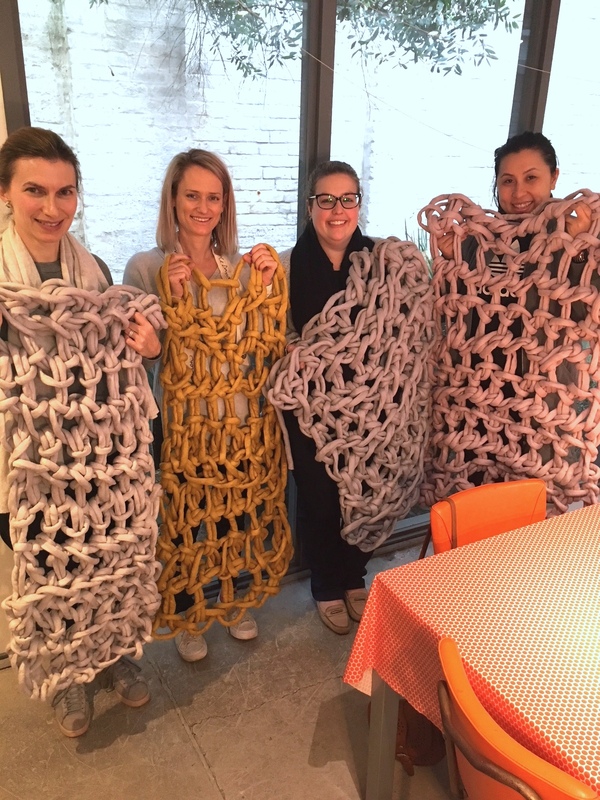 In this workshop you will extreme crochet a lap-sized blanket using a basic crochet stitch using your hands and arms. 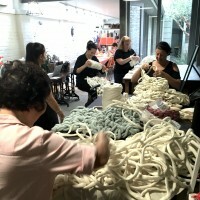 The finished size will be approximately 50 x 90 cm. 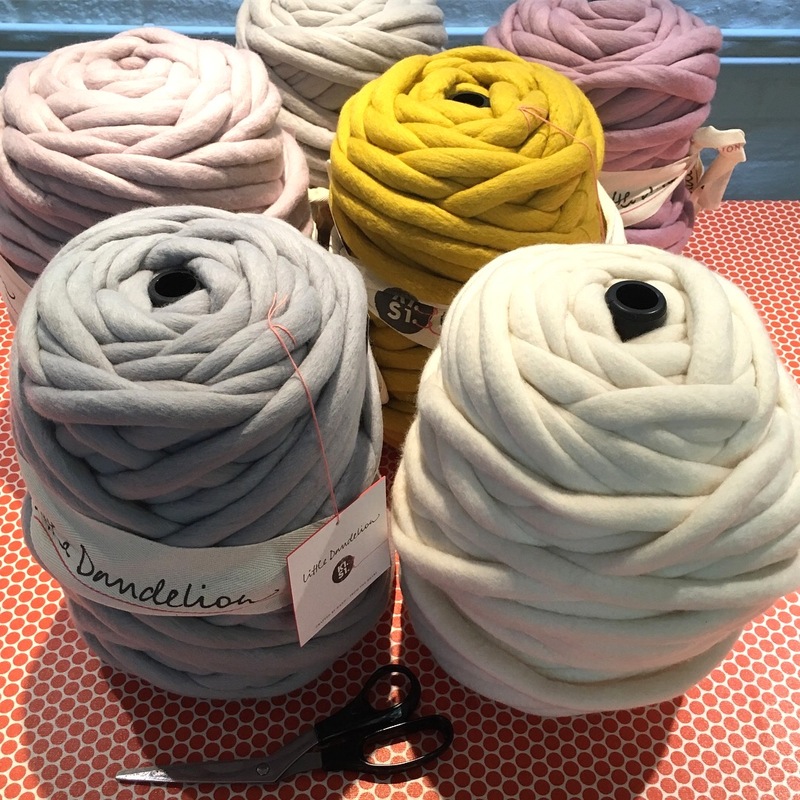 We choose to use Little Dandelion’s unique K1S1 giant yarn, a gorgeous felted merino wool specifically designed and developed for high end products, created by Fibre Artist, Jacqui Fink. 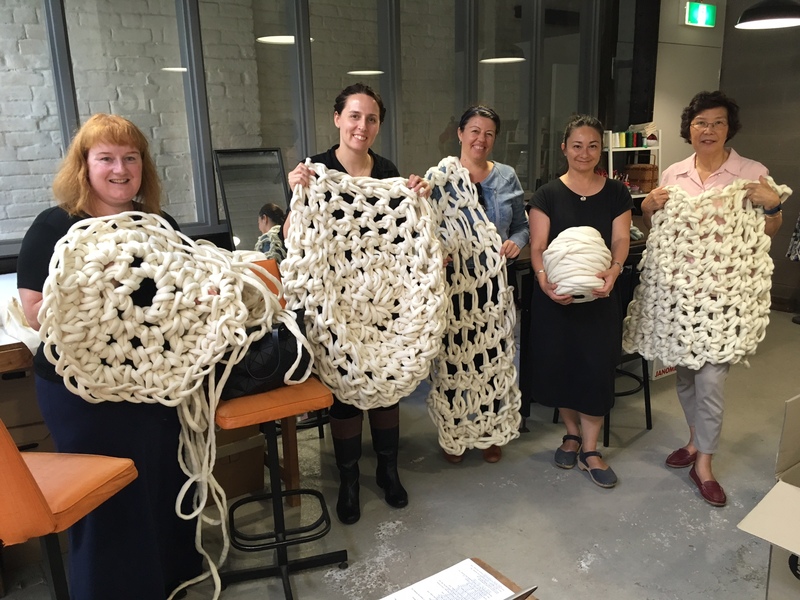 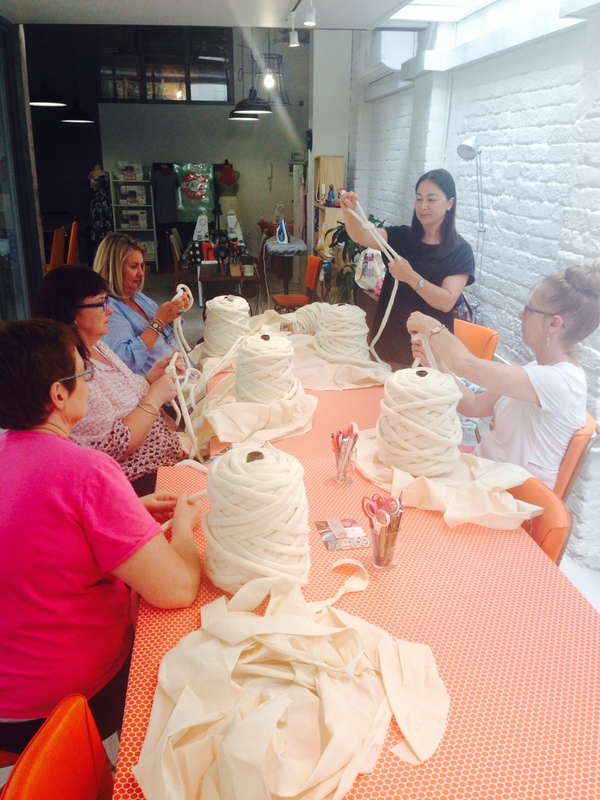 Each person will be given a 1.5kg bump (lot) of K1S1 yarn worth RRP$225 to create their luxurious, chunky blanket. 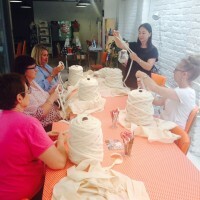 K1S1 comes in a range of colours but is subject to availability at the time of your class. 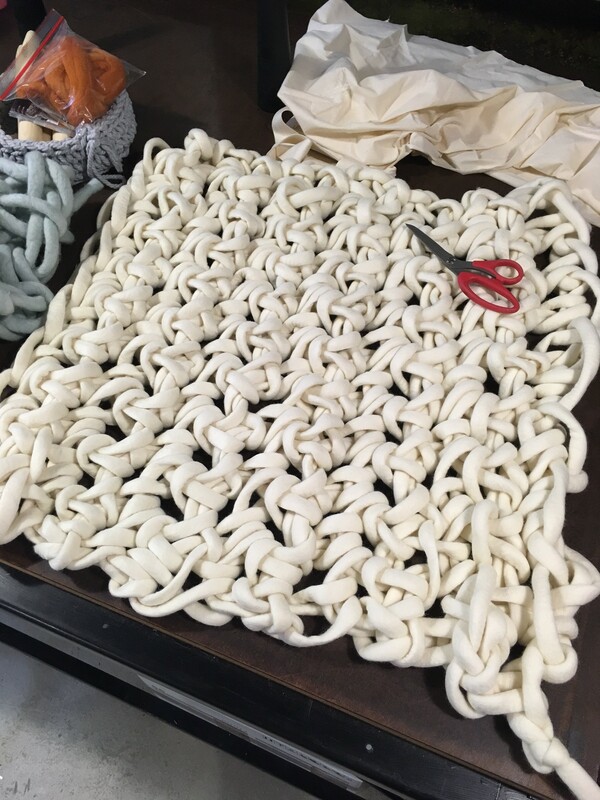 If you can’t decide what colour we suggest the neutral, Natural White. 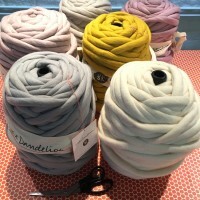 You can view all the delicious colours available on the Little Dandelion online store. 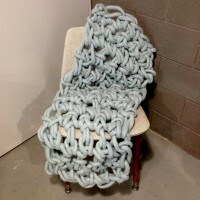 Extra K1S1 yarn can be ordered prior to class for your future extreme crochet projects, or to continue to make your blanket larger. 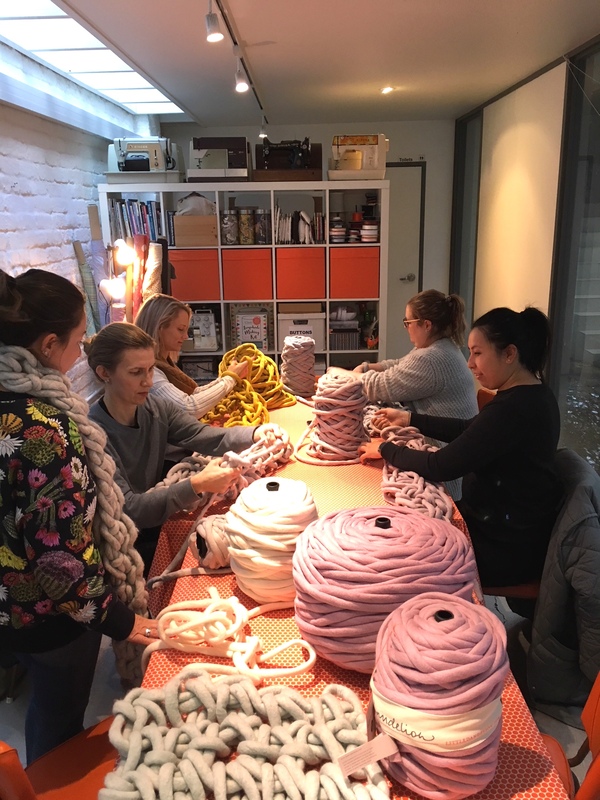 If you would like to learn how to crochet with normal sized yarn and a crochet hook please check out our Beginner’s Crochet Workshop. Micaela is an Interior Designer and Crafter with a passion for colour and crochet. 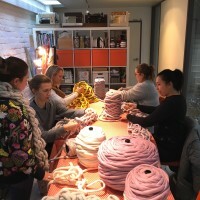 Ever since she was young she has loved creating, working with textiles and all things design. 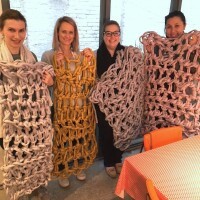 She likes to take the traditional craft of crochet but put her own twist on it.